Glam Book Shots: where have all the good men gone? The only things that makes a hot man hotter is a good book and a sidelong glance. 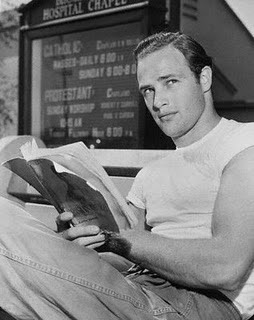 Here is a young MARLON BRANDO reading a designer we don't recognize (do YOU know?) and looking cool with a capital OOH.